Nancy and Ann Wilson are back! Heart have ended their hiatus by confirming a run of live shows for later this year. 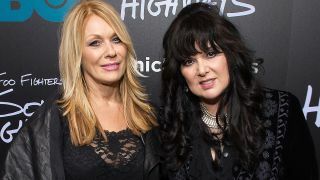 They’ve been inactive since Ann Wilson’s husband Dean Wetter was handed a suspended sentence for reportedly assaulting sister Nancy’s twin sons in 2016, with Nancy subsequently working on her Roadcase Royale project and Ann launching a solo career. However, in an interview with Billboard in October last year, Nancy revealed the pair were back on speaking terms and hinted at a return to touring, adding: “A couple of years have gone by – it’s not anything that Ann ever did wrong or I ever did wrong, but it’s just one of those family dramas that just happened and it poisoned the atmosphere for a while. Now the band have confirmed that they're back, and will head out on the 39-date Love Alive tour, which will begin in St Louis at the Hollywood Casino Amphitheatre on July 9 and conclude with a performance at the Hollywood Bowl on September 9. Heart will be joined by a variety of special guests on the road for select dates, including Joan Jett And The Blackhearts, Sheryl Crow, Elle King and Lucie Silvas, with more artists to be revealed in due course. Tickets will go on sale at 10am local time this coming Friday (February 15).